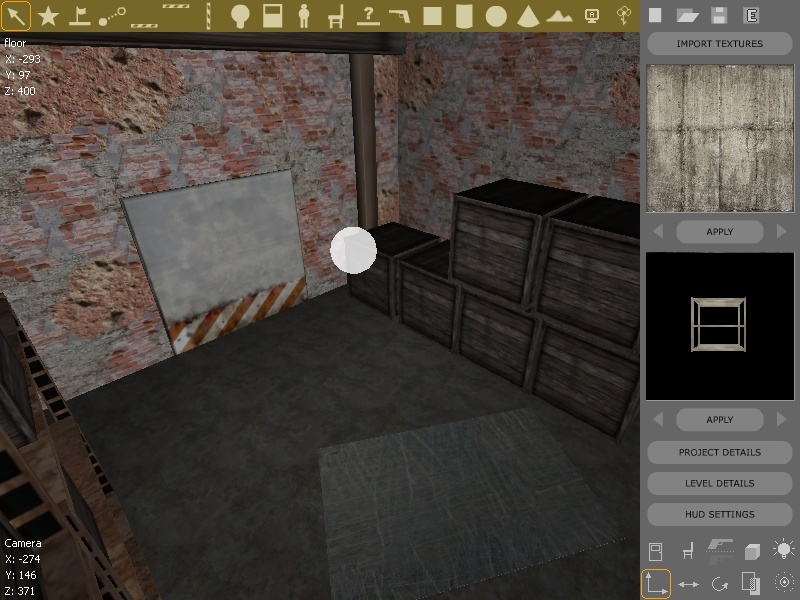 Silent Walk comes with an easy-to-use full 3D game editor. There are walls, teleports, general objects, lights, enemies and more. Start the program and you can start building your game immediately. Just select an icon which represents the element you want to place and click on the 3D editor grid. Silent Walk is a WYSIWYG editor. You can see the objects and other game elements as in the final game. Using the user friendly GUI you can instantly change any aspect or element of the game. You can rotate the camera and move around in the scene, so you can see it from all angles. You can zoom in and out, move the camera up and down for a more precise result. Lights are also handled in real time, so you can test and see the objects in different light conditions. Using dynamic lights makes great effects in your game. 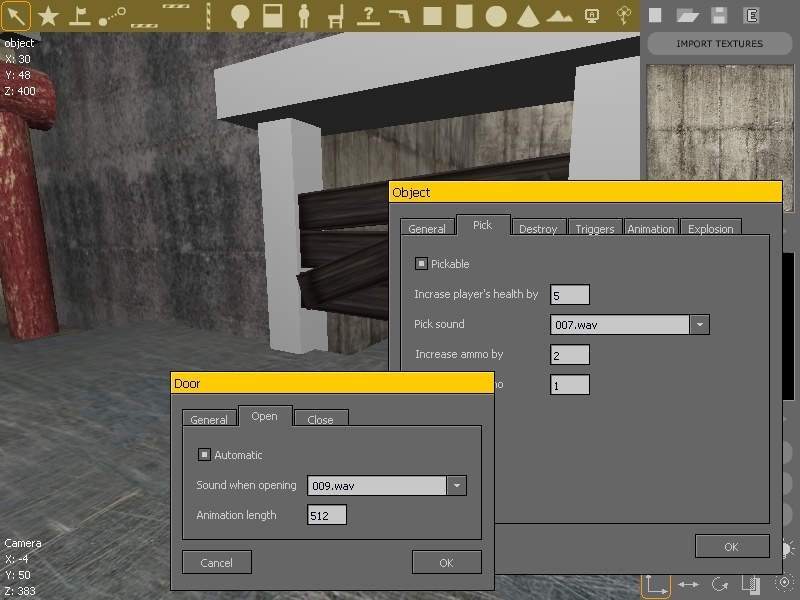 There is a built-in Weapon HUD and Animation editor. 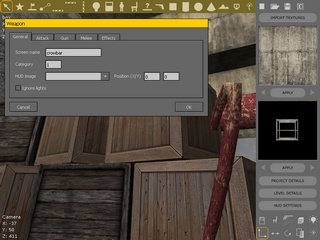 With this tool you can place a weapon on the player's HUD and edit its position. This is basically the position which is displayed when the user picks up a weapon and it is shown on the screen. When the user makes an action with this weapon it is animated according to the type of the weapon. There are two types of weapons, gun and melee. With the Weapon HUD Editor you can set the start and end point of the animated movements, and Silent Walk calculates the in-between animation frames. During game creation you will need lots of textures for covering different game elements. You can use your own textures by importing them. 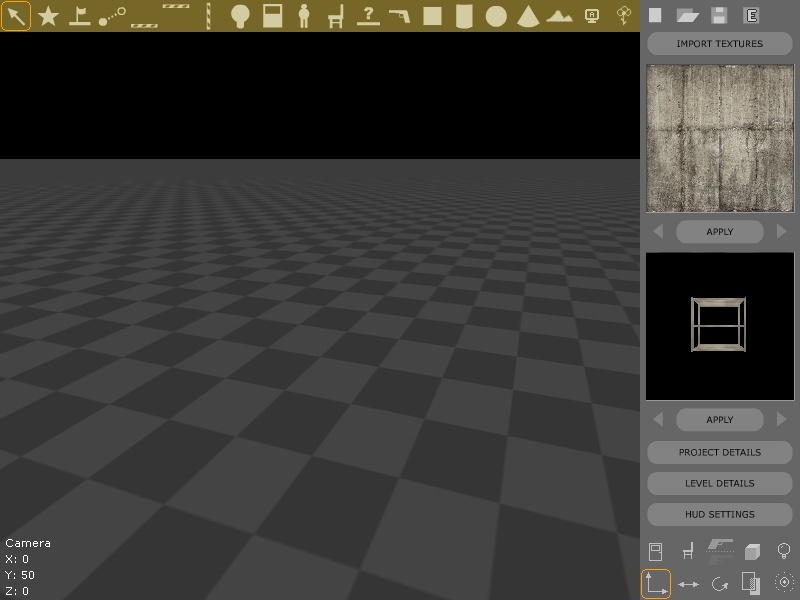 The Texture Importer displays all available textures, so you can easily browse and selct the ones you need. Remember, no programming knowledge is required! You do NOT have to write a single line of code or script to make a game. View the editor in action!